I love this quote. Yep, It’s the little things that bite me. The negative or lazy things. But Darren Hardy points out that little, positive choices add up to a big difference over time. It may take a while for the cumulative, compound, effect becomes evident, but it will happen. I started reading this on the advice of Vemma President BK Boreyko. He recommends making the conscious choice to do something positive to maintain a healthy body and positive mind every day. So I went back to the El Segundo Public Library to pick up the audio again. The ESPL is the only one out of the five libraries I use that has the audio version. So if you want to check it out and listen in your car, stop by the next time you are near LAX. Listening to GTD a second time has been really worth it. I’m just wrapping up the last disk now where David Allen gets into the deeper stuff about transforming companies with GTD. Implementing GTD is just one of the many possible positive choices you could make to activate the The Compound Effect. What positive changes do you have in mind for the coming year? What small, positive changes will make your resolutions stick this time? Looking south along the Strand from the one mile mark with the Palos Verdes Peninsula in the background..
My time at the turnaround: 1.75 Miles in 23 minutes. Monday, August 29th, 2011. 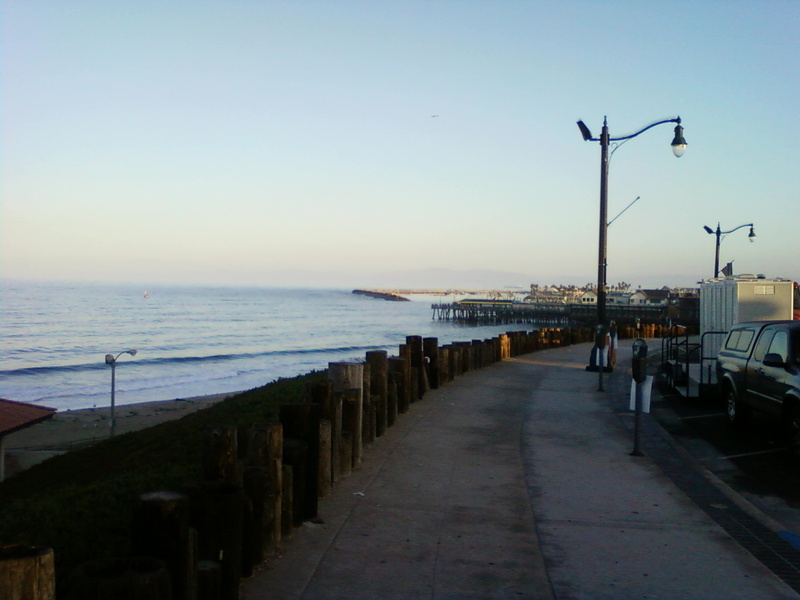 I drive about a mile and a half down to the Redondo Beach Pier. I park on Esplanade because there are no meters on Esplanade. There’s offside street sweeping a couple days a week so I usually find a parking spot. I just have to get back to the car before 8:00 AM. I walk down the parking lot to the pier and turn south on the bike path. Just to the right you can see the SUV with port-a-potties on a trailer. Beverly Hills 90210 was filming at the Pier for the past couple of weeks. It looked like a beach concert scene. 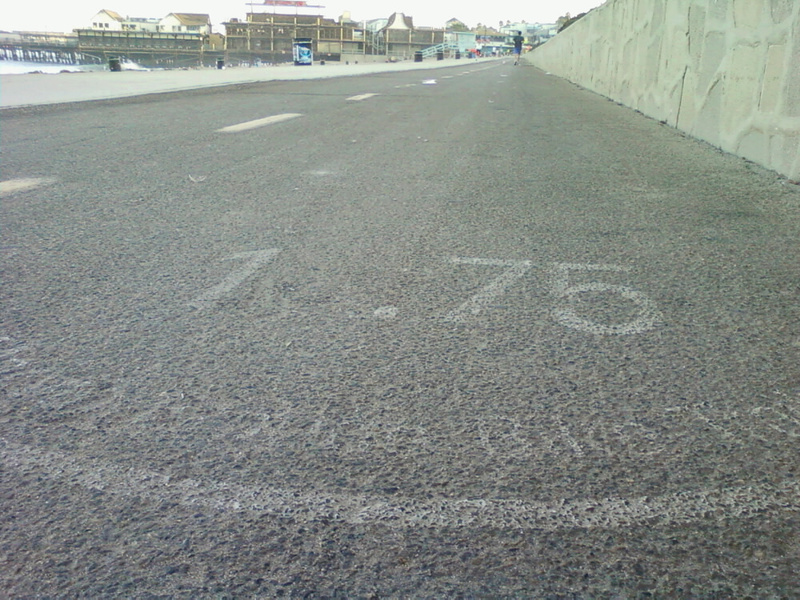 The Marvin Braude Bike Trail is marked off every 1/4 mile, like this picture on the right. The Pier is 1.75 miles from the starting point at Torrance Beach. 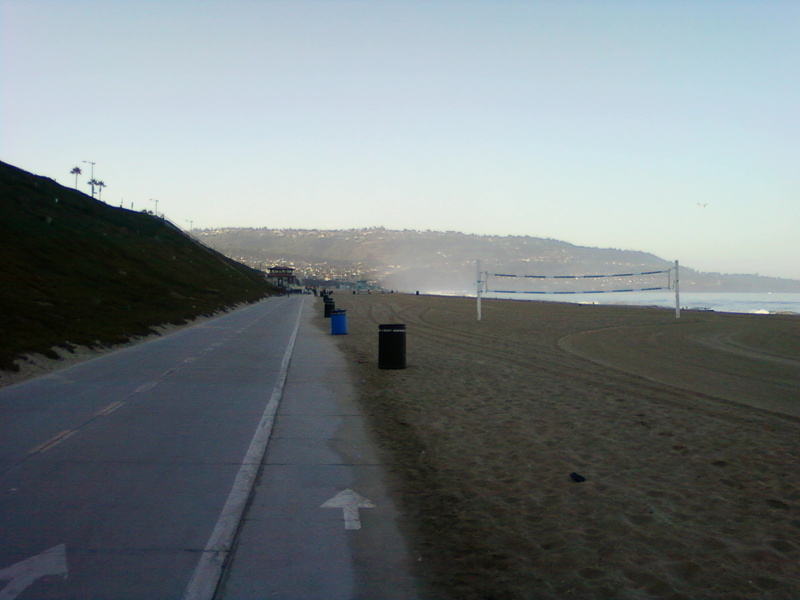 I start running here and head south toward Torrance Beach. This is a point on the trail about one mile from the end, way down by the Palos Verdes Peninsula that you see in the distance. It looks like a long way, but it really isn’t. It just feels like a long way for an overweight 55 year old guy with Poly-cystic Kidney Disease (PKD). Twenty three minutes later I get to the end, seen here with my watch documenting my time. I stretch and breathe. best camera for distance shots like this. 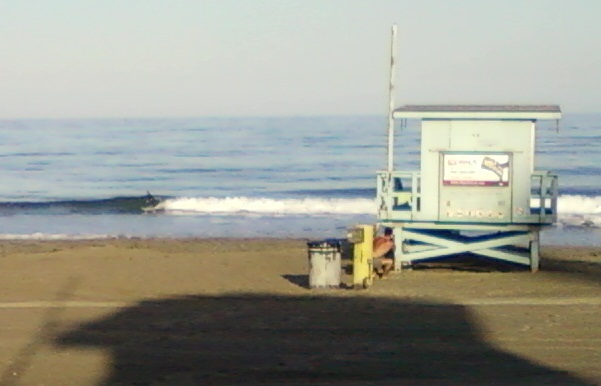 In addition to surfers, I see pelicans, seagulls, and an occasional pod of dolphins. I turn around here and head back to the pier. 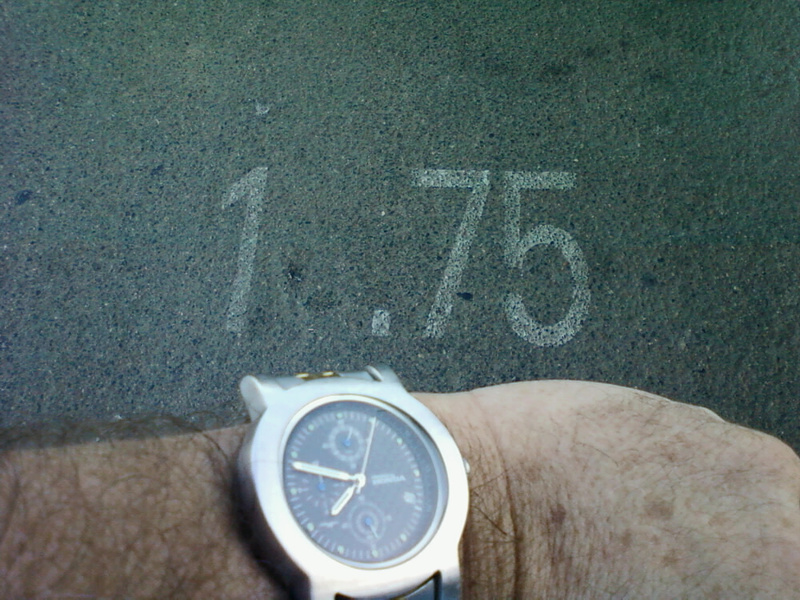 Here’s my watch with my final time, looks like 7:49 AM. Here’s my victory grimace. The beach grooming tractors are out and sun is up. A great day. Zero to 5K in Six Weeks! Vemma Rocks! Zero to 5K in Six Weeks! VEMMA® Rocks! Today I ran a total of 3.25 miles on the strand from the Redondo Beach Pier to Torrance Beach and back with one 1/4 mile walk break at the turnaround. 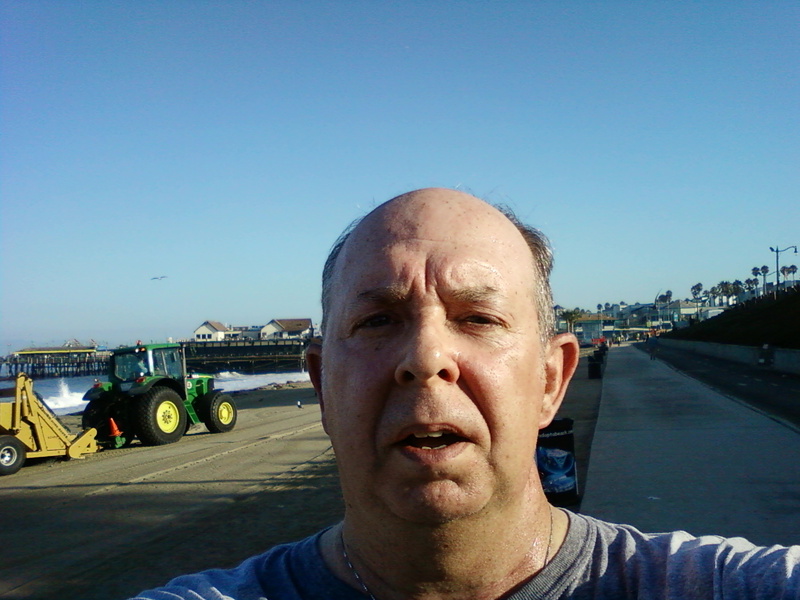 I started running again on Friday July 15th after taking five and a half months to recover from a bad gout attack. In only six weeks I’m back on track. I give full credit to Vemma, the liquid vitamin and antioxidant that I started taking back in May this year (2011). Vemma stands for Vitamins, Essential Minerals, Mangosteen and Aloe. When I first started running I used the C25K (couch to 5K) program from coolrunning.com. C25K is a structured interval training program designed to bring a complete newbie up to speed and ready to run a 5K in just nine weeks. After getting myself off the couch and out on the road the first time, it took me nineteen weeks to get up to 5K (3.1 miles). Along the way I was sidelined for two weeks by a cold, a week or so by shin splints and a few weeks in physical therapy for other aches and pains. I guess I wasn’t your typical newbie. I was overweight, 54 years old and totally out of shape. 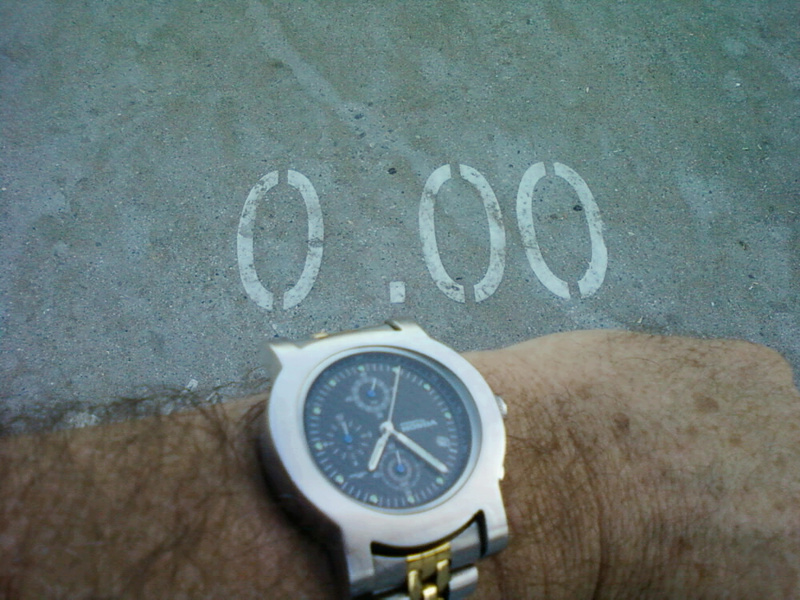 My usual time to run is for about an hour in the morning, between 6:00 to 8:00 AM, three times a week. I allow one day for rest and recovery in between runs. Last year I would start to feel stiff and sore in the hips and legs about 10:00 AM on run days. I experienced a lot of aches and pains, but kept going in faith that I would get better. When I started up again in July I expected to have the same stiffness by 10:00 or 11:00 AM on run days but it never happened. I progressed quickly as I pushed myself through longer intervals, using the 1/4 mile markers on the bike-path as a guide. I haven’t done anything new this time around except for taking a daily dose of Vemma. I’ve been taking two oz. of the standard Vemma formula every morning since May. I have tried some of their other products as well. Verve! is the Vemma energy drink, The Verve! Shot is a concentrated, insanely healthy energy shot that provides a real boost to your workout. My best run in the whole six weeks was the morning I tried a Verve! Shot before going for my run. is a powdered hydration formula that includes all the basic Vemma formula plus electrolytes and amino acids to assist recovery after a workout. What keeps you going during your workout?